Get your song heard by a targeted sample of real music fans and measure their thoughts and feelings in a customizable research report. Crowd Reviews offer detailed feedback about your song's market appeal from listeners in your genre. In-depth listener commentary and easy-to-understand statistics help you make better-informed decisions about composition, production, and promotion. You can even get reports for songs that aren't finished yet. 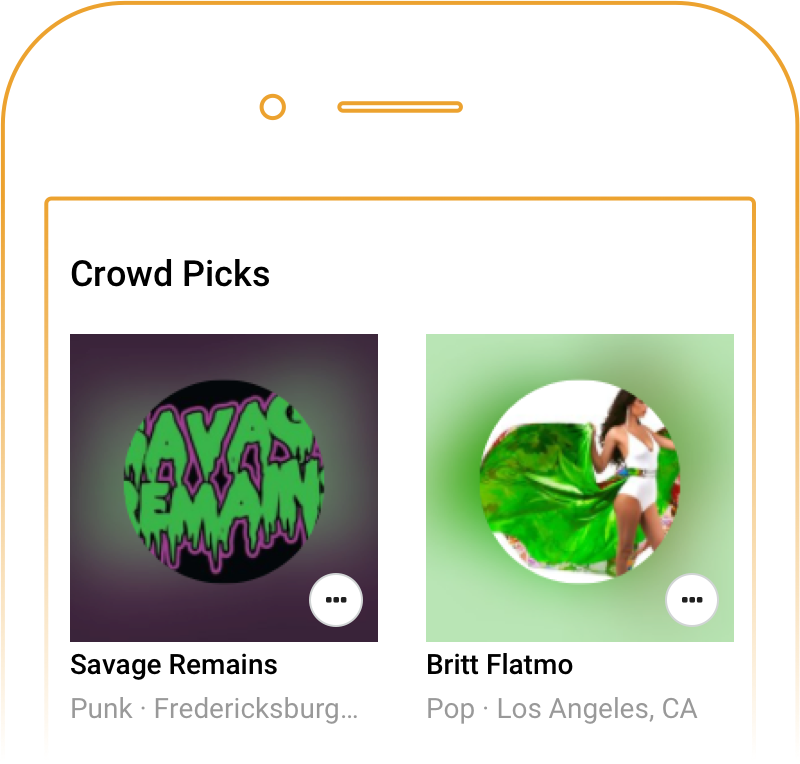 Score a 7.5 or better on your Track Rating score with Crowd Reviews, and you could earn a spot on the Crowd Picks section of the ReverbNation homepage. Get even more feedback in the areas most important to you with Advanced Insights. Learn what fans think about your track's marketability, sound quality, or songwriting elements. Find out what traits your biggest fans share, from age to geographic location. Measure the most important elements of a hit song incuding lyrics, song structure, and more. Get direct feedback on the sound quality of your songs and compare mixes against each other. Identify detailed demographics of your fans including where and how they listen to music. Before you release new music, learn how likely fans are to purchase, stream, and recommend your song.